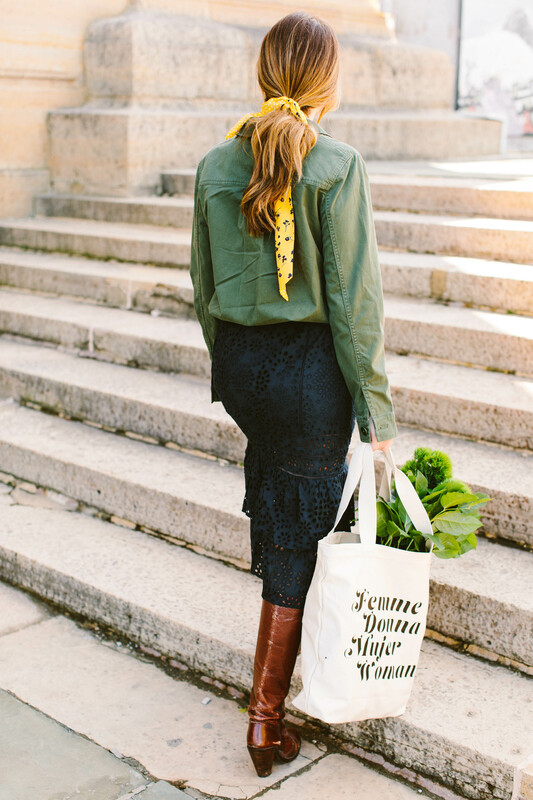 There is an outfit formula that I’m juuuust about ready to flaunt. It requires slightly warmer temps but we’re so close. We’re so very close to Pretty Dress Season so I’m planning to fudge my sartorial selections just a bit, in favor of the upcoming season, and start wearing dresses NOW. There are two main points I’ve gotta make here. One, pick your dress carefully. 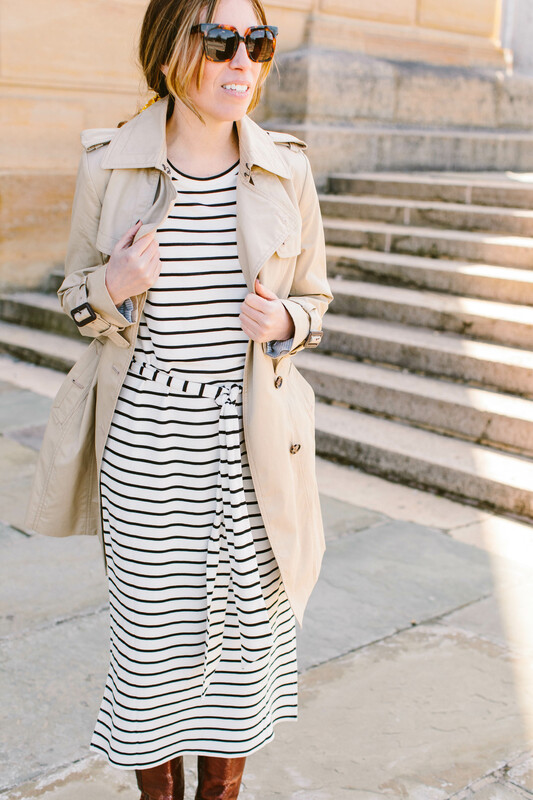 I like dresses that transition seamlessly into Summer…but are still relevant in colder temps. You can do this with fabric (thicker or highly textured fabrics work) or with color (darker colors will almost always — even if by “dark” it’s just a stripe). 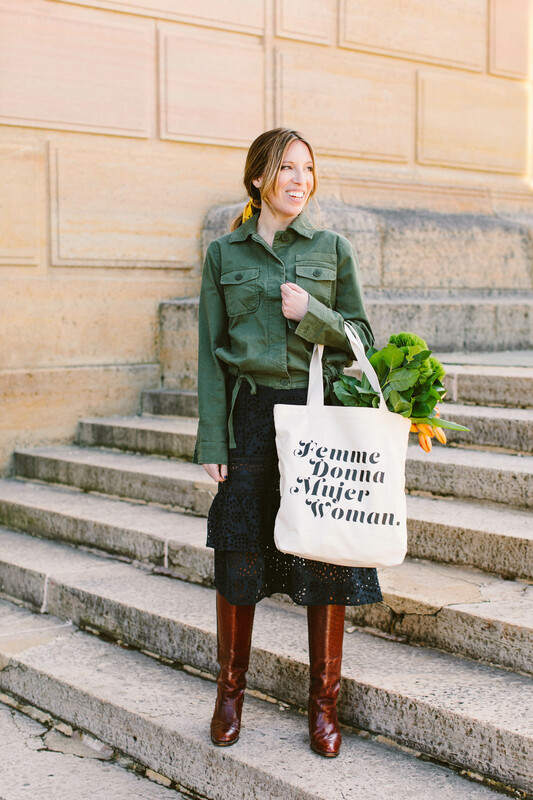 Two…add tall boots and jackets. 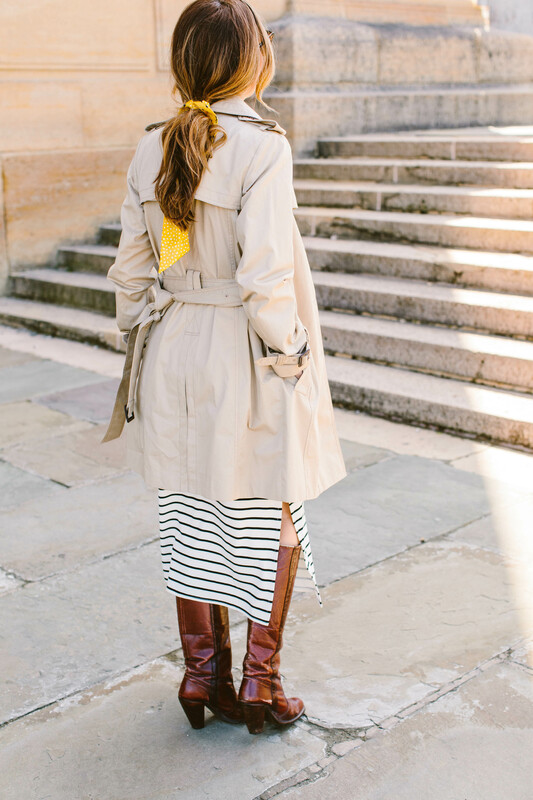 Adding tall boots (over thick, wool socks) instantly warms up any dress (and modernizes the boot), and some sort of jacket ties the whole look together. The cut of this dress is pure glamour…which is why the casual eyelet fabric is total genius. White eyelet is classic (and yes, the dress also comes in white), but I’m really digging the navy for a dress that is pretty seasonless. Dress: Banana Republic Eyelet Pinafore Dress (size 2P) – be a bit careful with sizing here. The very bottom of the dress isn’t lined, so the petite size did have a stripe of eyelet riiiiight across my bum. Personally, I like it like that — I’m always game for a little cheek peek — but if that’s not your thing, stick with the regular sizes (or maybe even tall). 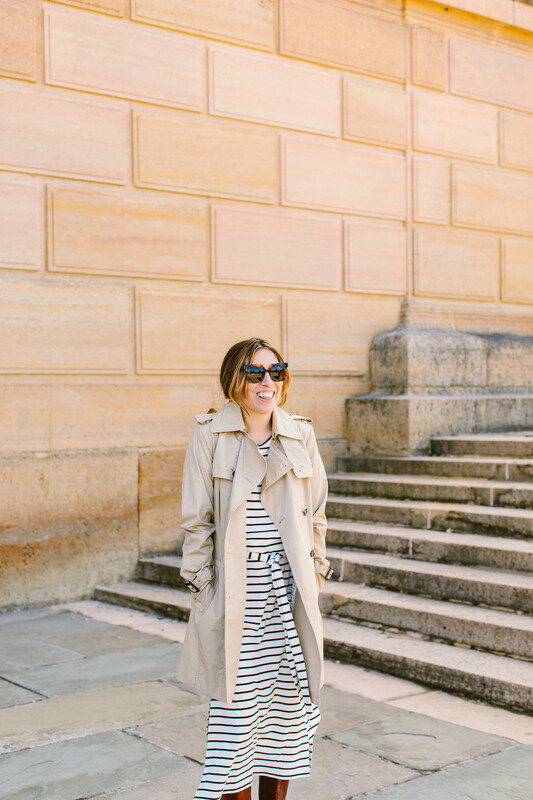 Jacket: Banana Republic Utility Shirt Jacket (xs) – This was such a fun surprise! Typically shirt jackets have boxy shapes that make them tough to wear…but this one has a clever drawstring that makes it so flattering. Such a good find. 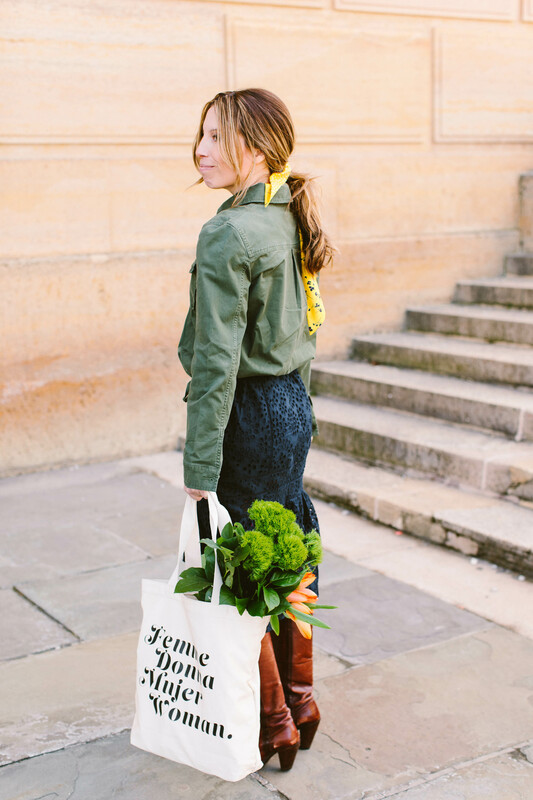 Bag: International Women’s Day Canvas Tote – so very French girl, oui? 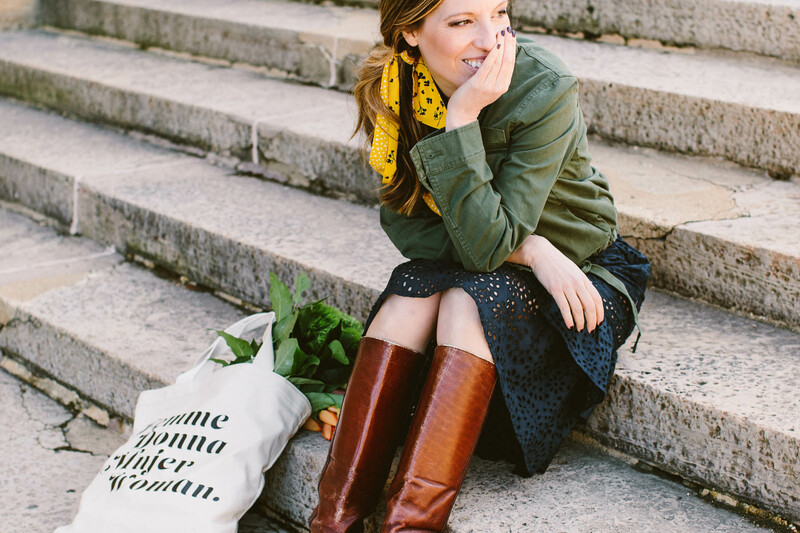 Scarf: Banana Republic Reversible Skinny Scarf – such a fun pop of color, right? 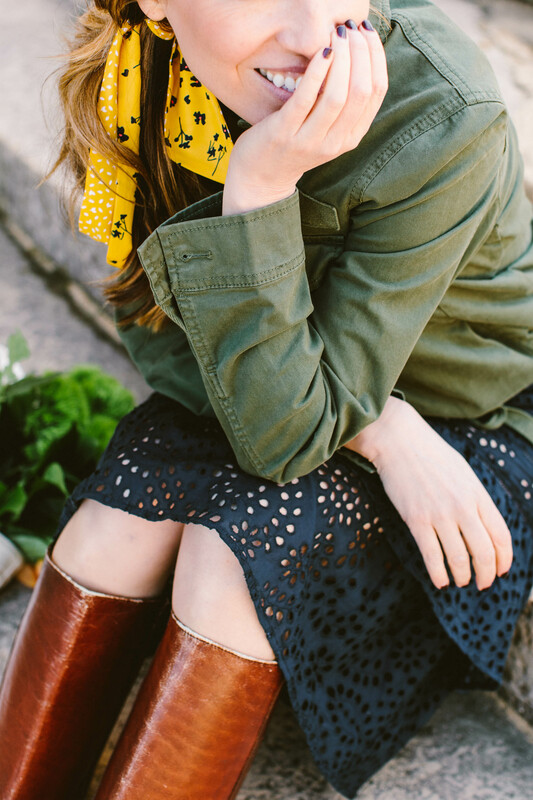 These are the best scarves for tying onto…everything. 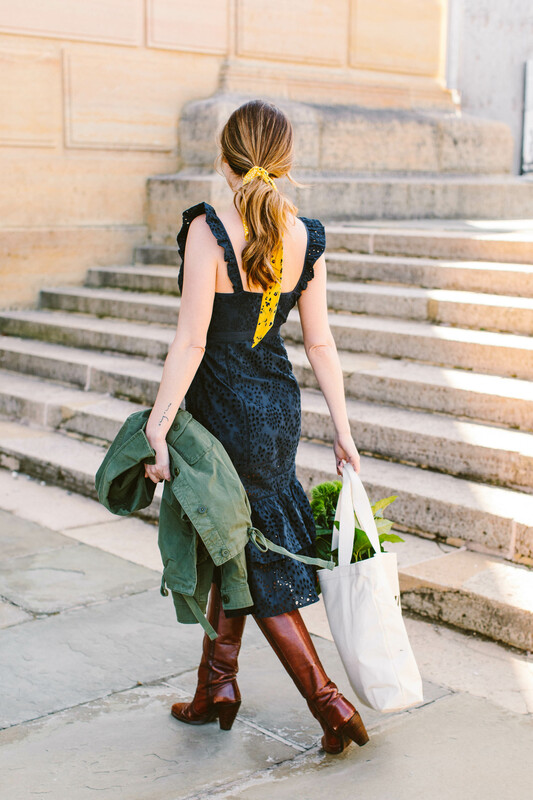 Shoes: old vintage Fryes, but any tall boots (or even booties) would work. This dress is made out of a deliciously drapey, thick, ponte fabric, making it both comfortable to wear and really flattering. 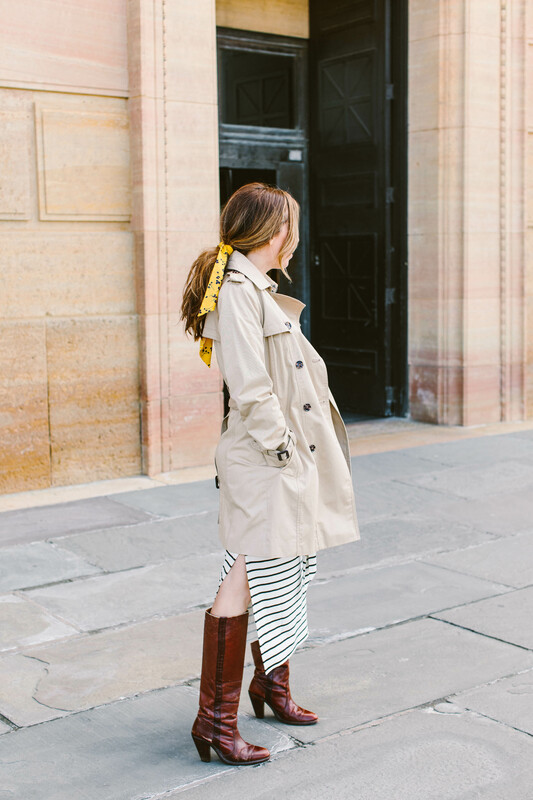 It’s perfect with a trench (and Banana’s trench coat is pretty darn perfect, too). 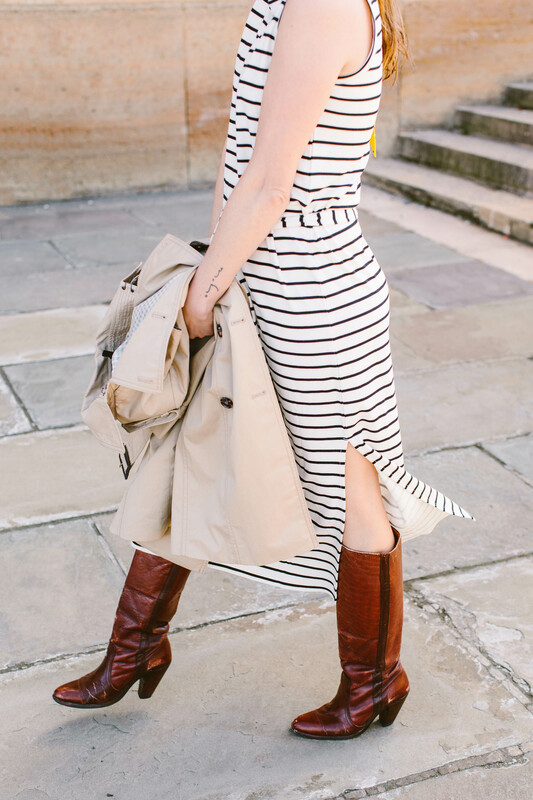 Dress: Banana Republic Stripe Ponte Tank Dress (xs) – I LOVE ponte. It’s thick, yet drapey, is comfortable to wear, and smooths over lumps and bumps. One of the most flattering fabrics, in my opinion. Would be really good for work OR weekend. 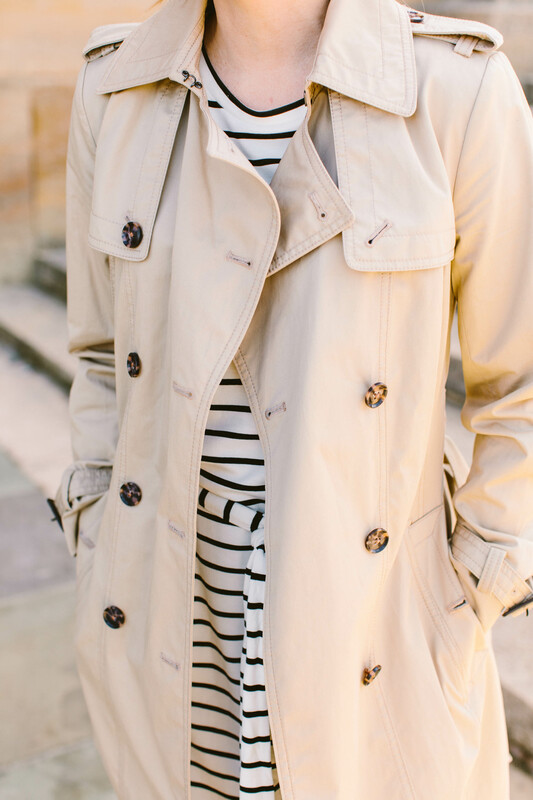 Jacket: Banana Republic Water Resistant Classic Trench (xs) – Gosh, Banana does a really stellar trench coat. Is anyone surprised? Nope. It’s kind of their thing. 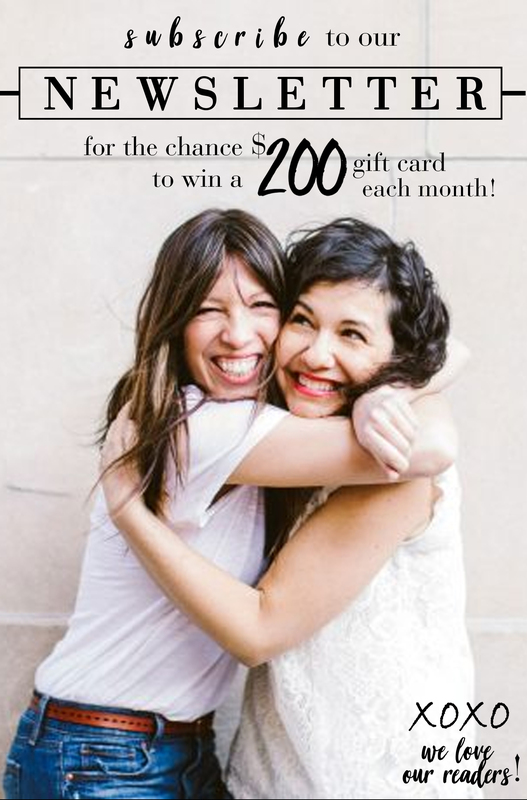 A huge thank you to Banana Republic for sponsoring this post!! I’ve been a longtime fan of the brand, and it is always a thrill to work with you. As always, all product choices, thoughts, and opinions are my own. And readers, thank you for your continued support. It doesn’t go unnoticed, and is so very much appreciated! We are thinking alike!! Yesterday I wore a cotton midi dress with tights, booties and a denim jacket and got tons of compliments on my “spring outfit”!! I wear jeans to work daily and wanted to change up my usual look. Thanks for always inspiring me! Yes to both of these asks. I would love info on styling the higher shaft boot. 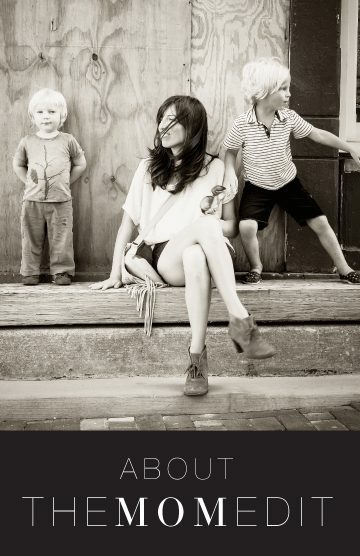 And, I would love, love, love-ity, L-O-V-E having a mama of teens on here too. I’m in the throes of the teen-aged years and all the highs, lows and in betweens that comes with that time…. Here’s another vote for styling the higher shaft boot – I have brown and snakeskin and am having the hardest time figuring out how to style them! Love these looks! 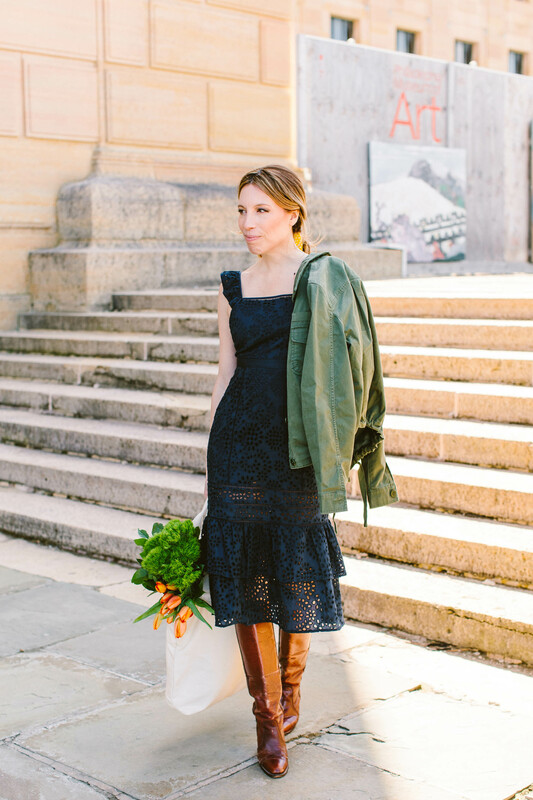 That navy eyelet dress is perfect! And I’ll throw in my vote for some mother of teens input. In September, I will officially have five teenagers in my house. We can use all the help we can get here!! !